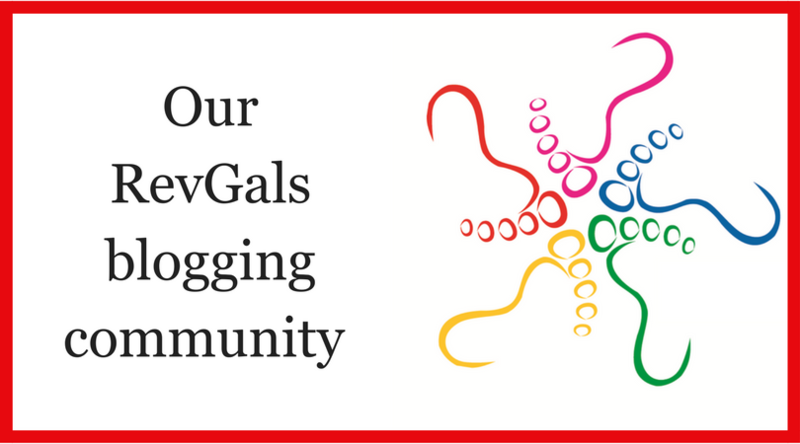 Founded in 2005, RevGalBlogPals creates support, resources and community for clergywomen and other women in ministry via our website, Facebook group and Continuing Education events. We are international and broadly ecumenical, committed to the work of anti-racism, and open to and affirming of LGBTQIA+ people. Our online community is not limited to bloggers and includes clergywomen, women church professionals, women religious and women discerning a call to Christian ministry, as well as supportive male clergy and lay people. We are single and married and divorced and widowed, gay and straight, cis- and transgender, parents and not, clergy and clergy spouses and laypeople, with an age range of 20-something to 80-something, all gathered for one purpose: creating supportive online community for clergywomen and their friends. This is great. Why didn’t I know about it sooner, like 2005. After 27 years of ministry, I am retiring at the end of September. But I am joining anyway. Looking forward to the conversations. I am a chaplain at the Colorado State Veterns Center in Monte Vista Co.
You may email your question to askthematriarch@gmail.com. We’d like to add you to our mailing list for the next Take Time For Peace global interfaith event, February 2016. Please tell us the best way to contact you. I will be entering seminary soon and I’m sure I will find a lot of comfort in this blog. Thank you and many blessings. 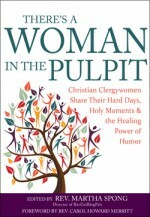 If that book has not been sent to the woman in the United Methodist Women in charge of the Reading List, it should be. The lessons and insights learned therein are many. It would be perfect for the Leadership Category. If you want more information about this, I can send it or check on the Web at http://www.umw.org and you’ll find bunches of stuff. Here’s hoping it works out for the book. Our publisher is in touch with the women who develop the Reading List. My understanding is we were too late for this year but will be under consideration for the following list. Thank you so much for your support! I think it would be great if you let someone know you recommend the book. Savvy blog post – I am thankful for the information – Does anyone know if my company might acquire a blank a form copy to fill out ? Wow! My husband found this amazing site and shared it with me. I love that you are all from different paths and countries. What a blessing to have a place for women ministers to connect! I look forward to reading and sharing. So interested to hear and read more. I am ordained in the Evangelical Covenant Church. I am a pastor who serves mostly outside organized churches. Not because that was what I wanted, but because it was incredibly hard to find placement without leaving family that needed me close by. So my ministry is varied, and many times it is in conversation with the “nones and dones” who need to be heard and find God in their story. I just bought the book and am excited to get to read it, wish I had known about this group sooner. Thank you for what you are doing and God Bless. why does feedly not work and Skewed View & Signs-Along-The-Way are no longer accessible to read posts. I know because as stinuksuk, I have been posting. I miss the old format where one could comment on another posts. Am I just behind the times?!!? Skewed View and Signs Along the Way are both available in the feed – I know because it’s the one I check each week. But you need to click through to the particular blog to comment. That isn’t built into Feedly. When you first go to Feedly, you should see the first 6 of 247 feeds, then a button you can click to open all the rest. The list is alphabetical; we hear Feedly may sometime add an option to prioritize most recently updated sites, but that feature has not been added yet. When you click on a specific post in a blogger’s feed on Feedly, at the bottom you’ll see a button, “Go to website.” That’s where you can comment. I hope this helps. Do you have a policy on reposting any of the prayers? I’ve probably used one or more of the ones found here in my blog (prayerandverse.com).